So, what did I do in April? You mean besides finish the eBook 101 Tips for Traveling with a Vampire. There isn't a lot of resources for humans running with the “undead”; No Facebook groups, no forums, not even a decent book of tips – until now. 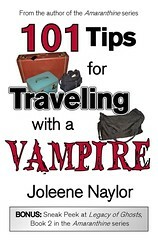 101 Tips for Traveling with a Vampire is just that – 101 tips for everything from boat travel to the classic Road trip. Sometimes funny and sometimes serious, these tips will prepare you for that vacation with your vampire friend. available through Amazon Kindle for $.99 or Smashwords where you can set your own price and pay only what it's worth to you! Want to see more? Then watch the spiffy cool trailer on YouTube! And feel free to leave a comment! Of course, if you've missed Shades of Gray, you can still get it through Amazon/CreateSpace for $11.00 , Amazon Kindle for $1.50 and Smashwords for $1.50. I'm also still posting my series on How to Get a Cheap Cover at the Self Published Authors’ Lounge on wordpress. But, there's a lot more going on there, other than just me, so please stop by and say hello! The Lots-O-Fun link: Weebl's Stuff The animator of "Magical Trevor" has a website full of equally insane flash cartoons for your personal enjoyment. Why would you want to spend hours watching silly flash cartoons about pork, or Kenya or Weebli and Bob? Well I only say, why not? The Music of the month: Unsigned Band Web.com I know I usually do a band in this slot, but I found a very cool site chalk full of free tunes - from unsigned bands in a LOT of categories - everything from a cappella, to trance (what ever that is!) to blues. I downloaded a few celtic, folk and acoustic and did not need a user name or account. If you don't want to commit to downloads, there is also a large listing of unsigned band radio stations. I could live here for several months and be happy. The Video of the month: Huge Dork by James @ War An ode to dorkiness and dorks everywhere. Everything from Ducktales to Tolkien to Star Trek gets a mention, and keep an eye out for the Princess Bride references. I am currently looking for some Affiliates to trade links with. If you have a website and would be interested please let me know! Looking for Reader Reviews! Have you read the book? Did you like it? Did you hate it? Well write a blurb and let the world know what you think! Please send all reviews to joleene@joleenenaylor.com and I'll post them on the site! The Terrible Turtle Conspiracy is a weekly manga/comic written by Jonathan Harvey and illustrated by Joleene Naylor that tells the story of the giant turtle attack in Tuttlesville and the interconnected aftermath. Can't access MySpace, but you want to get in on the Turtle Action? I am now posting the comics on Blogspot as well. So, if MySpace won't work for you, then check it out there! 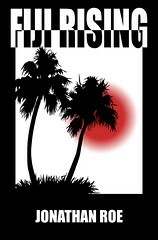 I have added a few new things this month to the Ramblings from the Darkness website at www.joleenenaylor.com. This month I finaly caught up and added two new Reader Reviews for Shades of Gray; one from Jase Gill and the other from Jonathan Harvey. Both are well written and fun, so take a peek! I've added two new poems to the Poetry Section of the site. 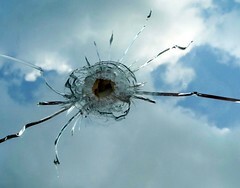 "Remember" - which was featured in the spring issue of target Audience magazine - and Cycles. In the last month I added the following albums to my Flickr account. All of my photography is licensed under Creative Commons license unless otherwise noted. You do not need a Flickr account to view these. Clicking on the links will take you to a photo album with thumbnails. 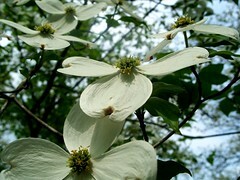 80 photos of flowers and greenery, including dogwood, moss, dandelions and more. 10 photos of some very cool dead flowers that looked like fairy wings to me. 26 random photos, including the "hole in the sky" series, a couple of funny photos, some nice textures, and more. 16 photos of dad's visit; mainly at the shooting range, but also a couple of a bar-b-que and dad opening his christmas presents late - again! Phtos of early spring, including rain drops and sprouting plants. Adventures In Indie Publishing: The Back Cover.. Continuation on the Self Publishing blog series. Tips and advice on how to create the back cover for your POD book. A mini tirade on the copy cat phenomenon as well as some very cool links and a Random Video. Loree Harrel is a Part of the Terrible Turtle Conspiracy..
Jonathan and I expose the terrible turth about the Artistic Environmentalist and her plot to help the evil turtles. Includes a link to a special promo comic. Photos of flowers, a dog in a hat and more. 101 Tips for Traveling with a Vampire.. The info on the new eBook. Spiffy Old Stuff: Rainy April..
A Fairytale - Part I..
Part one of a serial fairytale about fenrick and his quest to gain land and title by slaying a terrible dragon. More pages for "The Judge"
If you have ideas or suggestions on what could make this newsletter better, or just want to give me your opinion on something, drop me a line at Joleene@joleenenaylor.com. If you would like to unsubscribe from this mailing, please send a mail to Joleene@joleenenaylor.com with the subject UNSUBSCRIBE. Have a great month and get ready for summer!